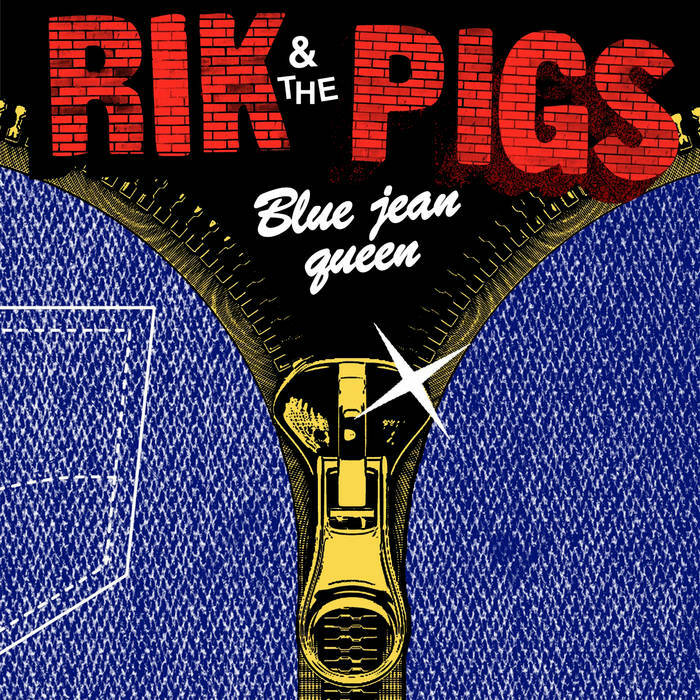 Home > FEEL IT RELEASES > RIK AND THE PIGS "Blue Jean Queen" 7"
Back in stock! Rik and his Pigs return! Three tracks recorded this past summer in Portland at the tail end of the Pigs' West coast tour finds the current six piece lineup tight and ruling as ever. "Blue Jean Queen" kicks thing off in fine fashion with a rocking, Dictators-esque stomp brimming with snarled vocals and crunchy guitar hooks. The Pigs work up a new sax-washed version of "TV Bloopers" to finish off side A, which is backed with the brooding, bass-driven "Off/On". Yet another excellent batch of tracks from your favorite gang of Olympia punks, and a fine companion piece to the A Child's Gator LP on Total Punk. Second pressing of 200 copies housed in a full color textured pocket sleeve with lyric insert. FEEL IT 15.